Dragon's Den first broadcast in 2005 and after 16 series continues to deliver an interesting mix of investment propositions. 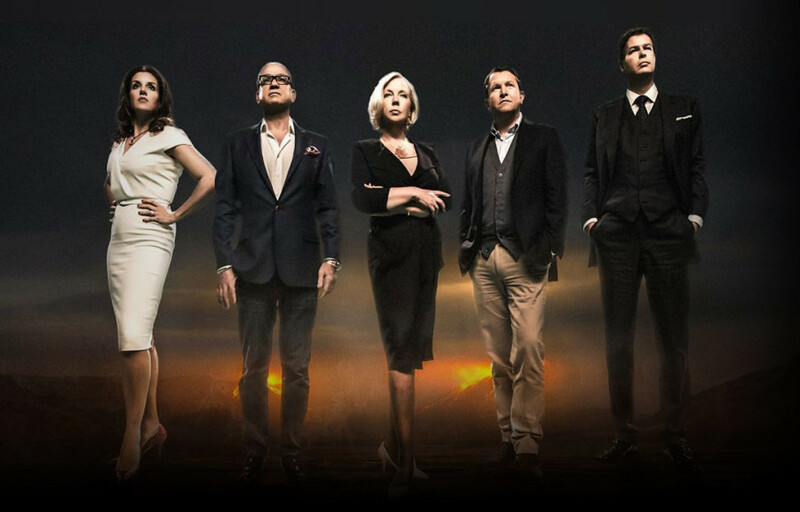 Deborah joined the panel of millionaire investors for series 3 of the programme, following the departure of Rachel Elnaugh and Doug Richard. Filming for series 16 will start in 2018 and Entrepreneurs can apply here. In the Den we observe inventors and would-be entrepreneurs as they pitch their ideas to the panel of five business achievers, ‘the Dragon’s in order to acquire investment finance and expertise. Before the show the entrepreneurs name the amount of money they wish to secure. They can get their money from one Dragon or a combination of Dragons; but they must get all they asked for or they get nothing. In return, the Dragons get a percentage of the company's stock. For more information on some of the investments Deborah has made on Dragon's Den click here. For more information on Dragon's Den and the Dragons, including clips from the programme click here to visit the BBC website. If you would like to appear on Dragon's Den click here to apply. The phone call came completely out of the blue, one minute I’m sitting at my desk going about my day to day work and the next I’m talking to someone from the BBC about appearing in a television programme called Dragons’ Den. I had just sold a stake in my business, Weststar Holidays to a Private Equity house and the BBC had picked up on me from the publicity surrounding the sale that was appearing in the business press. I’d had offers to appear on television before but I’d dismissed them out of hand. With Dragons' Den it was different and the opportunity to find exciting new business interests to invest my time and money in was a definite attraction - I also like to challenge myself and holding my own in a new environment and amongst a panel of four other successful business people was a definite draw. After the initial telephone discussions I agreed to make my way to television centre for a screen test. I knew that there were other potential Dragons on the BBC’s list but I didn’t know who they were or how many others were up for the slot. I felt the day went reasonably well but I still wasn’t completely sure I wanted it. I didn’t hear anything for two weeks but when I did I was invited back for a full dress rehearsal screen test, this time with Richard Farleigh and Duncan Bannatyne. I had a fantastic time and meeting the other dragons really made up my mind that I wanted to do it. I always knew that Dragons’ Den was an interesting, quality programme but I now knew it was going to be great fun to be a part of! Needless to say I’m used to getting what I want, so by this stage if I hadn’t been offered the job I would have been extremely disappointed! When we're fliming my day starts at about 7am when I get up, wash my hair and drink as much tea as I can before being picked up at 8am. I’m usually at location by 8.30am where it’s straight in to get my hair styled and make up done (of course this doesn’t take long!! ), followed by a bit of breakfast before filming starts at 9.30am. We normally see six pitches in a day with each lasting about an hour, although I have known pitches to only lasted 15 minutes while others have taken over 2 hours. The length of the pitch really depends on how interested we are and how much we want to find out about the idea, business or person pitching. Between each pitch we tend to get up and leave the den for a break. Normally we grab a cup of tea or coffee and stand around discussing the pitches we’ve seen so far. During this time we often also take the opportunity to make calls to keep our day jobs going! Half way through the day we usually head off to a nearby restaurant for some lunch and more of the above. Then it’s back to the Den for the final pitches with the last pitch usually finishing at about 7pm. All of the Dragon's have a great sense of humour and to be honest we get on surprisingly well both inside and outside of the Den. Obviously we’re all opinionated, strong individuals and the Den is a highly competitive atmosphere so tensions can arise, particularly when we disagree over investments. Fortunately we’re all grown ups, so they don’t last long! What happens after you've invested in the Den? If possible, immediately after the pitch has ended I have a quick chat with the investees to calm nerves and explain what the next steps are going to be. I immediately instruct my team to send out a standard form questionnaire asking for all the details and information I will need before I sign on the dotted line. This process is called due dilligence. As soon as possible after filming I make a visit to their premises to see where they’re working and the current set up. Obviously we spend time chatting about the business, where it is now and what’s needed and I sometimes find there are specific areas needed to be covered within the due dilligence process. Once I am happy that I fully understand the business and that it is as it was presented in the Den then it’s full steam ahead and start making money!